Why Immune Cell Quality is Key in Personalized Medicine with Anne Lodge, Founder of Astarte Biologics, Inc.
Saul Marquez: [00:00:19] Alright Outcomes Rocket listeners welcome back to the podcast. Again I want to welcome you and I invite you to go to outcomesrocket.health/reviews where you could check out our show reviews and also leave us a rating and review let us know what you thought about today’s episode. We bring you the best and that’s why we request feedback so that we know our doing so well. Do I want to introduce our outstanding guest today. Her name is Anne Lodge. She’s a scientist entrepreneur and she is the founder at Astarte Biologics, Inc. They’re doing some pretty amazing things there but really their focus is to provide characterize human cells in animal models systems for study of inflammation and immunity. Their focus is precision medicine. And she’s done so many things across the health care continuum for the past 20 years. She’s got such amazing credentials from Vanderbilt University just her study in Cell and Molecular Biology. She is truly dedicated to this field listeners and I’m so privileged to welcome Anne to the podcast today. Anne, welcome to the podcast bill and any of the gaps there that I may have missed in the intro. Anne Lodge: [00:01:34] Well thank you for that very gracious introduction. All I can’t imagine what I’d fill in. I’m pleased to be with you today. Saul Marquez: [00:01:41] The pleasure is ours and we’re so glad you carved out some time to chat about your specialty and before we do dive into that and what is it that got you into the medical sector to begin with. Anne Lodge: [00:01:54] Oh well gosh it’s just my curiosity. I think once upon a time I would have been a bird watcher bird looking for a way to get my interest in the natural world with a good career possibility behind it led me to laboratory science and how we can learn more about blackbox we live inside of you know how does our body work and how does it break down and how can we fix it. Saul Marquez: [00:02:22] Yeah that’s really interesting and I love birds too just aligning those interests in ways that help shape and help us kind of build a career. You know it’s interesting how we got to make sense of it all. I feel like a lot of entrepreneurs too wanting to get into this space are faced with that reality. You know wanting to put together a solution that they’re excited about versus finding a way to fit into the healthcare system in a sustainable way you found the really cool sector of specialized medicine. Give us your thoughts on how leaders today in healthcare need to be approaching this topic. Anne Lodge: [00:02:57] In approaching personalized medicine. In a sense yes. Yes. I think we’ve gone from you know kind of the natural progression of science we are now reducing down to G there’s there’s clearly differences in the human population. We’ve long studied it in groups you know in assessing how people as a group behave. And now coming to appreciate that she there’s an awful lot of individual variation within any group whether it’s people with breast cancer or people with an autoimmune disease. There’s a lot of individual variability in my own specialty in immunology. The individual variations are maybe more acute because it’s all keyed in on very individualized genetic background and that’s what has led me into providing human immune cells because they need to be provided as individuals. You can’t just pull them together in a more traditional way. So we’ve tackled that problem so that people researchers can appreciate those differences between individual blood donors between individual immune systems and how individuals respond differently until it’s been great to be able to do that. Saul Marquez: [00:04:14] It’s a big deal. And you know you guys have really shaped the way here and given these researchers and labs the opportunity to take these advances and personalized care. Can you give the listeners an example Anne of how some of the work that you guys have done our customers you’ve served how this has improved outcomes. Anne Lodge: [00:04:35] So well were as you are probably aware there’s a lot of excitement around immunotherapy approach to cancer. So the hurty so the checkpoint inhibitors like TiVo and key Truda having a big impact. So there’s a lot of excitement around extending those advances. But clearly there still this that some patients do really well on these drugs some patients don’t. What’s the difference. And we’ve been able to look at some of those differences and just to our donor population which is really fascinating to see in the test tube so to speak in vitro tests. You recap that you can see that hey this individual in our experiment response to that drug by orders of magnitude greater than individual why over there where there maybe is a response but it’s not that impressive. We’ve seen our customers are tend to be keep their cards close to their chest but they’ll develop a fascination with a particular set of donors and reorder those because they have seen something unique in that individual that may lead us to a greater understanding of the system. Saul Marquez: [00:05:55] And as we dive into these drugs that are doing a much better job but just don’t you just it’s not one size fits all. How do providers think about this. How do you put your head together with the deliverer of care and does it look like a test that they have to do a genetic test. What is your vision there what do you think. Anne Lodge: [00:06:16] Sure. I think that’s something that’s exactly right is they need more help from. And there are certainly people working on this problem of what’s the right biomarker. Can we test somebody and say OK this individual will respond so we can go right to the medication that will work best for them. Yes. Versus somebody else doesn’t have that biomarker. Let’s try some other approach and that is I think the ideal that many of us are striving for so that you get your diagnosis. And to some extent this is already happening. I think breast cancer is perhaps a good example of this where they can look at the tumor and say gee this will this tumor will respond to these medications and will treat with that. Now if you could apply that model to more more tumors outside of cancer therapy to other arenas where you could apply the right medicine to the right patient. So that would be powerful for the provider to be able to know more and are going to have to go through an experiment here of finding out what the right medication is for you. We’re going to run a test and know that this is the right medication for you. Saul Marquez: [00:07:26] Thanks for explaining that and it seems like there’s an opportunity to have a more robust testing mechanism to help providers nail down these things and maybe more to find biomarkers to help. Saul Marquez: [00:07:42] Got it. So that’s really interesting. I can imagine people are working on this right. Anne Lodge: [00:07:46] Oh yes absolutely. There’s great interest and like I said I think breast cancer is perhaps a good example of some of the blood cancers that routinely also have good biomarkers partly because with blood cancers you can get to the source of the problem. In other arenas I think there’s just a lot more work to be done to kind of catch up to those example. Saul Marquez: [00:08:08] Got it. And maybe prevalence is a big factor too right. Anne Lodge: [00:08:11] Sure sure. Breast cancer is very prevalent but so is prostate cancer. And I think we are lagging behind in understanding which prostate cancers may not be as aggressive as others. Saul Marquez: [00:08:25] Interesting. Now that’s a really good good distinction to make there and you know as a provider you really got to a stop and ask yourself what are we doing as an institution to make sure we’re aligning to these practices that can help our patients do better. This is a great example and I recently had the flu and it’s nothing like cancer but I’ll tell you why I felt so sick. And I’ll tell you if I had to feel that way for a long period of time I would want to make sure that whatever you gave me was going to work. And I would be willing to do whatever it took to make sure that what I was going to take was gonna help me in the long run versus just hey let’s try this. It might work. Anne Lodge: [00:09:10] Exactly. I think that is what I really need to recognize throughout the health care system is that there is an awful lot of what we do that benefits maybe 20 percent of the patients and then there’s another 80 percent maybe don’t get that degree of benefit. Right. If we could understand that better health care ought to be cheaper if you get to give the right drug the first time around and have that the kind of impact you want to have that outcomes. We all we really want to aim towards but to get there we got to study a lot of folks and pool a lot of data to understand how the biomarkers linked to the outcomes and how the drugs interact with that and some of it is just plain going to take time. It’s interesting that there has been a test on the market for quite some time that measures the difference in how we each metabolize the drug but it doesn’t get a lot of usage and I don’t honestly know if that is because it’s not seen as delivering the benefit that you would hope for. When I learned of it I said gee we should run this test that measures differences and cytochrome P. 450 G everybody should get this before they get any dogs. You don’t like your blood type now and then you know if this person metabolizes fast or slow and therefore you can adjust dosage get it right the first time it’s done. Saul Marquez: [00:10:40] Why do you think that is and why do you think that doesn’t get usage. Anne Lodge: [00:10:44] That I have not had somebody explained to me because I think I raised that to somebody else. We’ve got this. How come this test it’s cleared by the FDA. It’s on the market. How come it doesn’t get run and I’ve never gotten a good clear answer. I think it might be expensive. It might be that between the expense and making it clear to providers how to use the result of that test. It’s not clear. There are some gaps in there that haven’t been properly filled yet. Hey there is a tool that probably needs some help. Somebody needs to pick up the ball and make it clear to providers G.f. here’s what you do when you get the results of this test. Totally. Somebody needs to make it clear to the payers hey this could prevent aggrandise of additional expense delays in recovery kind of thing. Saul Marquez: [00:11:39] Yeah you know and I think this is a great call out and you know something that is all too common in health care. We tend to stick to ways of you know same ways of doing things and if something new innovative comes out it really takes time for to gain traction. There needs to be studies and even sometimes if there’s studies it still doesn’t even take off. Anne Lodge: [00:12:00] So if I’m one of those where it just it needs to. You can’t just throw it out there and hope for acceptance that it needs some real push in education to kind of say oh this is something that should be part of somebody’s medical file and guide prescribing information and such. And I think this isn’t just going to be a repeated story across the industry that there are going to be some tests that all will get that uptake that that clinicians will understand it and kind of grab for that and other instances where will these kind of you know it just won’t get the uptake that maybe it should get. And so I think yeah we need to put our heads together and get the interested parties at the table and they will see how this can work and make use of it. Saul Marquez: [00:12:52] And I think that’s such a great call out and and listeners you know the thing that we’re talking about here is is adoption of technologies that make sense. The point that Ann is really outlining for us is that your solution is not going to work for everybody just like us specific therapy won’t work for all patients or specific medical solution is not always going to resonate with all clinicians or all hospitals. So you just got to make sure you tell yourself fine those that this will match most with and run with that and be active in your pursuit because hope is not a strategy. And so you’ve been at this for quite some time. Can you share with our listeners a time when you made a mistake or failed you know as a scientist then maybe with Astarte today and and what you learn to be stronger today. Anne Lodge: [00:13:47] Oh gosh well science is built on failure. So yes. And unfortunately there are days where there seems to be a lot of it. As an entrepreneur I think by one regret that I have is that I turned away from the business for a couple of years and I was fortunate to find some business partners to kind of take it on and help it to grow for a while while I went got another job. I think in hindsight I would have hung in there longer and found a way to stay with the business for a couple of years. I was sort of a silent partner and missed an opportunity to kind of experience that part of the growth process make some different decisions or even dissipate the decisions that were made in a more active way. So I think if I had it to do over again I would have stayed I would have eaten more peanut butter and jelly and ramen right whatever ramen could do really good. Ramen is still good whatever it takes. Because if you believe in what you’re doing you really should stick it out. Saul Marquez: [00:14:56] That’s such a great great pearl there. And listeners reason why we asked the why. At the beginning of each show as to dig deep and to understand what the passion that drives you to do what you do because if you have that clear of that is always resonating and you just feel the punch of that every morning you wake up as without a doubt you’ll stake your course and and and definitely is feeling that now and she’s moving forward that that’s why she’s fully engaged in her company. Some pretty cool things going on there. Astarte and educated me before we got on the show is a mythology goddess that is revered for her things and in war and in love and in leadership. And so this name you guys I encourage you all to check out what they’re up to at astartebio.com will provide that link in the show notes. But and let’s dive into this a little bit further. Give us one of your proudest medical leadership moments that you’ve experienced today. Anne Lodge: [00:15:54] Well I would have to say you know we were able to help one of our customers clients develop a new test for their drug. It was a really intellectually satisfying project to work on. It involved an area of immunology that that has always interested me and very interesting drug that is on the market helps a lot of individuals with multiple sclerosis. So learning more about that drug and how to test it to make sure that each batch manufactured is consistent. It’s a very complex treatment or drug if you will it’s really a mixture in that little bit black box. And we were able to learn more about that how we could test and ensure that it was the same thing coming out the end of their manufacturing process each time and they patented that and I was named on the patent. And that’s kind of a pleasure. It’s a funny thing. I won’t make any money off of that but it’s still Marko’s. Hey this is a this is a new idea that a group of us came up with and we were able to reduce it to practice. And that’s kind of a cool thing. Saul Marquez: [00:17:05] That’s a really cool thing. And and you’ve baked in your history there and helping patients with multiple sclerosis and sure that they have a safe delivery and effective delivery of care right. Anne Lodge: [00:17:17] Yes yes. Saul Marquez: [00:17:17] That’s big. That’s that’s a lot to be proud of. Congratulations Anne. Anne Lodge: [00:17:21] Thank you. Saul Marquez: [00:17:21] So what would you say an exciting project that you have going on right now. 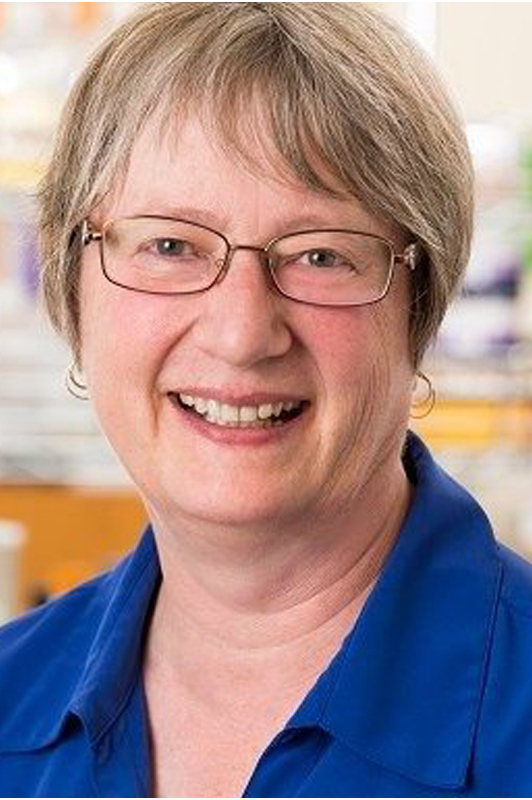 Anne Lodge: [00:17:26] I’m really excited about our line of antigen specific T cells T lymphocytes are really an army of disease fighters but the thinking about this army is that each soldier if you will each so is directed against a different enemy. So you’re happy souls that will attack the flu virus you have t cells that will attack Epstein Barr virus that causes infectious mono and so you have all of these different types out there. They’re very rare individually so if I was to look for those cells that fight off the flu you had yes they’d only be present in like one in 10000 of her lymphocytes kind of rare facilely were were enriching those and providing more purified or more enriched for whatever you like. You know out there or whatever you want. So we have cells against the flu. We have cells against Omega virus you know different viruses at this point and we’re going to launch one that is specific for a tumor antigen called gabion T1. So theoretically our product is only meant for research but there are those that are working on developing a treatment where you would infuse tumor specific T cells and fight off the cancer that way. So fascinating studies are going on. We’re doing the research corollary of that so that people can look at them and say okay what makes it effective versus maybe ineffective. So we think that these will be useful tools in learning how to manipulate that part of the immune system. Saul Marquez: [00:19:07] That is so fascinating. Anne Lodge: [00:19:09] I kind of had a vision of gee there are all these companies that sell different antibodies to everything you can imagine. 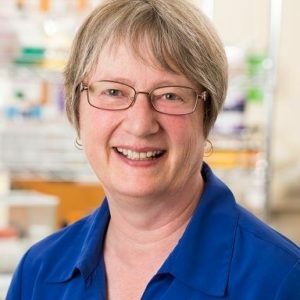 Anne Lodge: [00:19:17] And antibodies monoclonal antibodies are very widely used tool. They’ve been invaluable to me. I think we could do the same thing with T cells and they would be the same but different kind of tool and the types of different cells we could make would be nearly endless and would help us as you know understand that part of the immune system and how we can use that more people help for Cancer Immunotherapy or in the opposite direction. How do we tone those down so that celiac disease and rheumatoid arthritis are controlled better now and harder. Saul Marquez: [00:19:53] So Anne, just for the sake of a simple example if you have five t cells in your body only one of them say would fight cancer. And the other four stay dormant because they’re not the ones that would be activated yet. Anne Lodge: [00:20:07] They’re not the right ones. They don’t match. Saul Marquez: [00:20:09] And then what you’re suggesting is you would help populate the T cell with more of its soldier types so that it could fight the disease faster. Anne Lodge: [00:20:19] Correct. Yes. More soldiers do rabbits regens whatever it is easier they’re fighting it. Saul Marquez: [00:20:24] I think that’s such a such a very interesting idea. Anne Lodge: [00:20:29] Well I think met with a researcher from the University of Washington and we kind of joked about here’s what we have to do and actually nature has already done that. How do we make nature do that on cue. Right. Right. Saul Marquez: [00:20:43] That is fascinating. We recently interviewed a guest who is a specialist in Kombinat Tauriel biology and he was talking about the amphibian kingdom and how these animals can regenerate even organs. Saul Marquez: [00:20:59] Why can’t we, entire limbs if they can regrow a leg. Anne Lodge: [00:21:04] Why can’t we. Right. It’s like well sure why not. Saul Marquez: [00:21:10] Because we need to be asking. Anne Lodge: [00:21:12] And these are the questions we need to ask and not laugh because they sound like they came from a 6 year old. I think that it’s a reasonable question why can’t we do that. Oh yeah. When you’re out. How does a frog do it so that we can trick the human into doing it. Anne Lodge: [00:21:27] There’s a genetic program there. It’s there in the DNA. We just need to trigger it somehow. That’s right. Yeah. And this is not your world. It’s not just regenerator. There are so many veterans that have lost limbs. Can you imagine if they could have those limbs back. Saul Marquez: [00:21:44] Unbelievable. It would be a dream. Anne Lodge: [00:21:46] Yes. That’s what science is is a great place for dreamers like me and I guess you had that wondered why can’t we grow a new limb. Anne Lodge: [00:21:54] We should wonder those things and then pursue those wonders and find out more and through that understanding when we may be able to perform that kind of wonders. Saul Marquez: [00:22:04] Well I think it’s so cool. And and you know what you guys are up to add a star to biologics your theme of let’s discover together is so in tune with our belief here at outcomes rocket where hey we’ve got to break down the silos and discover together. Let’s help improve outcomes together in that spirit and I want to invite you to build a medical leadership course with me today. It’s the 101 or the ABC of Dr. Anne Lodge. And so this is going to be four question lightning round style. We’re going to put a syllabus together for the listeners. We’re going to finish that syllabus off with a book that you recommend to them ready. Saul Marquez: [00:22:45] All right. What’s the plan. I love it. 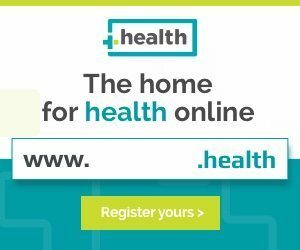 What is the best way to improve health care outcomes. Anne Lodge: [00:22:52] Understand individual differences. What is and the patient being treated. Saul Marquez: [00:22:57] Love it. What is the biggest mistake or pitfall to avoid. Anne Lodge: [00:23:00] Lumping people together. Saul Marquez: [00:23:02] How do you stay relevant as an organization. Despite constant change. Anne Lodge: [00:23:06] A relevant is staying up with the change. God there’s an awful lot to stay up with but that’s what makes it work. Saul Marquez: [00:23:13] What is one area of focus that should drive everything else in your organization. Anne Lodge: [00:23:17] What can we learn. Saul Marquez: [00:23:18] What can we learn. It’s a great question and then that thought process what book would you recommend for the listeners so they could learn more. Anne Lodge: [00:23:26] You know this is a tough one. And I’ve read some good you know but I’ve got to say I love the late Oliver Sacks who wrote beautiful pieces about individual patients and what their experience of their own illness or handicap were and the amount that he could learn from one individual about a particular the disease they really came through in all of his writings. So island to the blind I think it is called or the man who mistook his wife for that’s a good one. Saul Marquez: [00:23:59] All right. This sounds interesting. Anne Lodge: [00:24:02] Yes exactly. So all of his or many of his books were about mistakes of perception of our senses feeding us the wrong information. So I think there’s multiple levels you can enjoy. And his writings both from a health care perspective of talking to the patient understanding patients which he clearly did throughout his career. And also what we can learn about our own perception and how we can be led astray by our own perceptions are kind of cautionary tale. Saul Marquez: [00:24:32] And while I love it and such a great recommendation and listeners don’t worry about writing this down just go to outcomesrocket.health/annelodge. That’s a n n e l o d g e. You’ll be able to get this syllabus that we just put together for you. A link to Dr. Lodge’s company as well as all of the resources that we’ve mentioned through our Q and A today on the interview. So before we conclude an I love for you to just share a closing thought what the listeners and then the best place where they could get ahold of. Anne Lodge: [00:25:05] So closing thought I think is that we should all share our perspectives on personalized medicine from whatever area of healthcare that we work and work together to improve outcomes for all patients and where they can get a hold of me is probably go to a astartebio.com. Check out our phone number. There are a small group call him and if I have time I’ll be happy to talk. Saul Marquez: [00:25:31] Well there you have it listeners an invitation to reach out and phenomenal interview today with Anne and really appreciate you taking the time with us and today and and for for providing this inspiration to think beyond the conventional to improve outcomes so really want to thank you again for making time for us. Anne Lodge: [00:25:50] You’re very welcome, Saul. Fun conversation to have with you. : [00:25:57] Thanks for listening to the Outcomes Rocket podcast. Be sure to visit us on the web at www.outcomesrocket.com for the show notes, resources, inspiration and so much more.